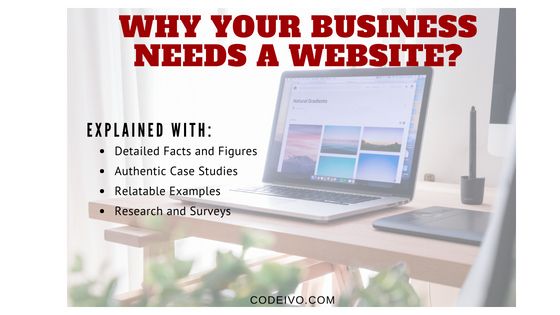 Why Your Business Badly Need to Have a Website? CodeIvo is a Web Developement and Designing agency focused mainly on developing E-commerce stores, Personal Brand websites, Corporate Website Designing for agencies and corporate businesses. CodeIVO is also providing its services in Wordpress Development , WP Web Design, Wordpress Plugins and Themes Development.